The Seventh Power Plan, calls for 261 average megawatts of server-room energy efficiency by 2035. With racks of computer equipment operating 24/7, server rooms consume a considerable amount of electricity. Their cooling systems often use more energy than the servers themselves. "Server rooms can account for more than half the electricity used in a commercial building," said Ted Brown, senior energy management analyst at Seattle City Light. "So efficiency improvements can result in significant energy savings and airflow management can reduce a building's energy use by 5 to 10 percent." On March 10, Seattle City Light, the Electric Power Research Institute and the Bonneville Power Administration held a workshop at the Museum of Flight in Seattle to discuss energy efficiency opportunities for server rooms with a focus on flow management. More than 50 people attended from regional electric utilities, server-room operators and industry players. "We discussed operating challenges and national experts shared insights into best practices for airflow management," said Michael Jones, Seattle City Light's power supply and environmental affairs officer. Presenters also shared tools to build a business case for energy efficiency solutions. A panel of server-room owners discussed the impact and success of airflow management projects, and utility representatives discussed energy efficiency incentive programs. 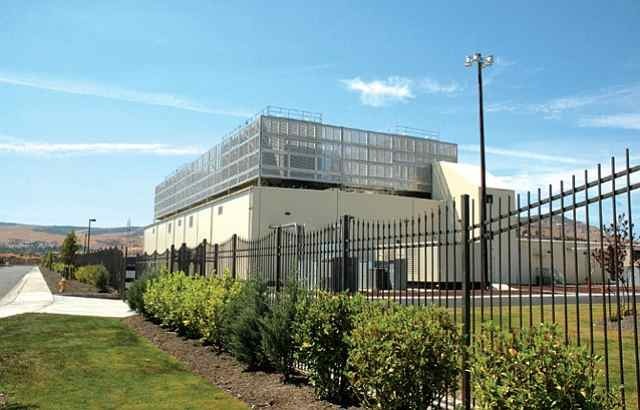 "This was a great opportunity to educate a hard-to-reach market about efficient cooling systems and other energysaving opportunities EPRI, Seattle City Light and BPA have explored," said Mira Vowles, a BPA energy efficiency engineer. Trimming server-room energy use is a notable part of the Northwest Power and Conservation Council's Seventh Power Plan. The plan, which is developed to ensure that the region will have a reliable and economical power supply in the future, calls for 261 average megawatts of server-room energy efficiency by 2035. BPA is expecting to hold a similar workshop for its eastside customer utilities in May.